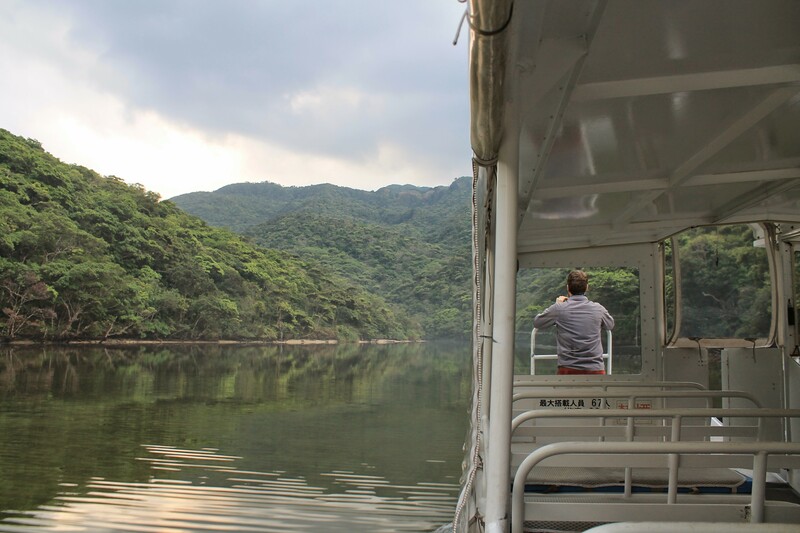 Took a chartered boat down the “Japanese Amazon” to the starting point of our hike. 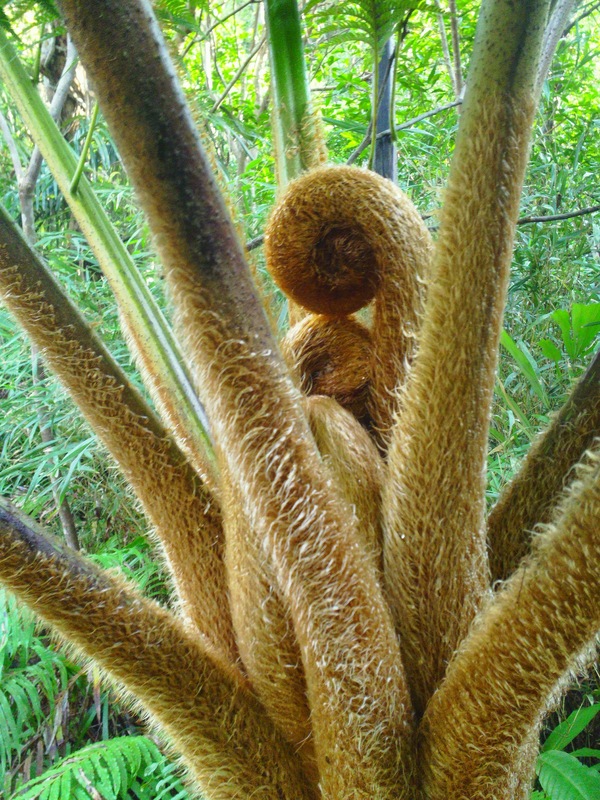 Beautiful vistas on either side of lush vegitation and deep jungles greeted us as we passed. We entered the jungle at a dock built to allow access to tourists. The first portion of the trek was easy and well groomed. We found ourselves confident that we could complete the 8 hour 12 mile hike in the single day allotted. Or perhaps that was only me. 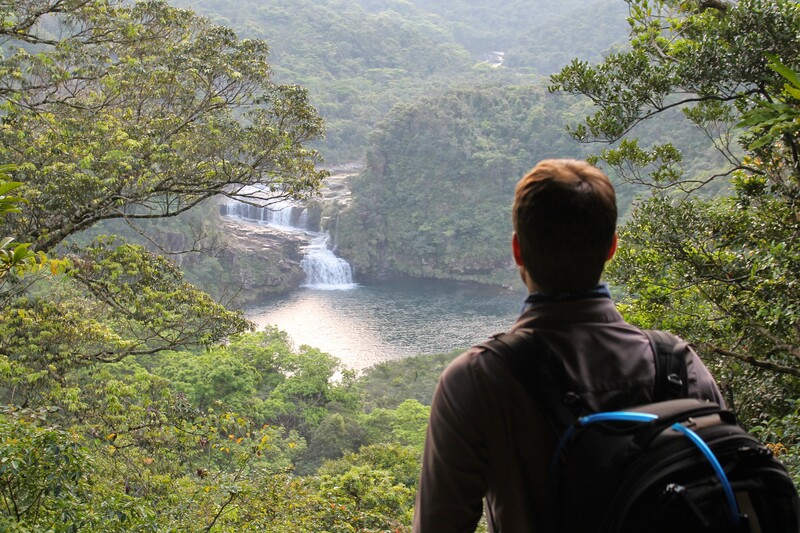 We reached the beautiful Maryudo Falls fairly quickly. 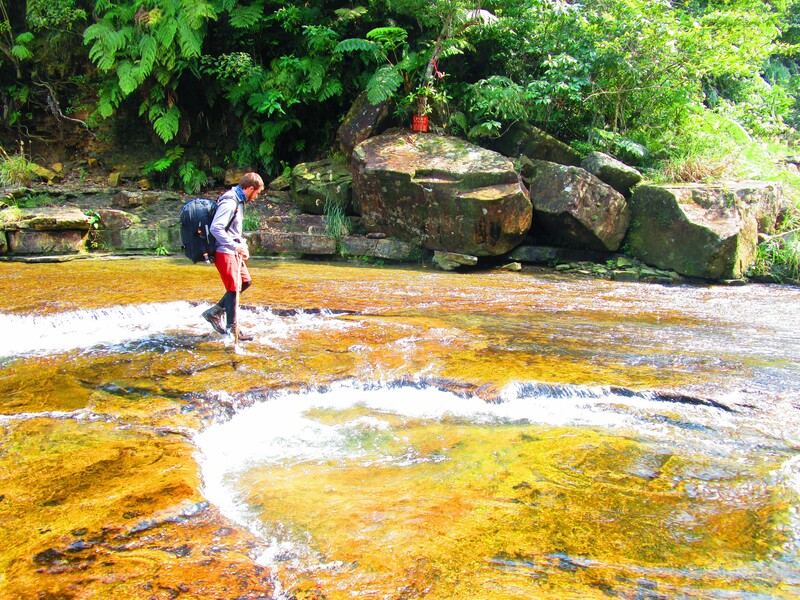 Not long after the waterfall, we found ourselves at the start of the official ‘trail’ through the jungle. We had been warned that the trail would get tougher, but we (again – probably just I here) didn’t pay enough heed to those warnings. The Japanese (in my limited experience) will tell you something is “terribly dangerous!” when the reality is that it’s barely a blip on the danger scale. They have a lot of ‘rules’ in their lives that we westerners wouldn’t even think to pay attention to. Example? There could be no cars for miles, but if the pedestrian crossing sign shows “do not cross”? The Japanese will not cross. That would be terribly dangerous. A little something at the start of the trail. It wasn’t long after that where my confidence/cockiness quickly abated. The simple truth? I was way too out of shape to complete the hike in the amount of time provided. Had the whole trek been as well groomed as that early portion, I have no doubt we would have completed the trail in plenty of time. As it was, we had to spend the night in the jungle. Mark doing a river crossing. Which, is ‘illegal’. Because, you guessed it, is ‘terribly dangerous’. Except that, in this case, it really is. The deadly night hunting habu snake, dramatically dropping temperatures the fact that it’s illegal to start a fire, and (really) no clear space to set up camp all make for a potentially disastrous night in the jungle. I should point out here that I’m really lucky. I have people like Mark in my life. I was… ill prepared. Mark was not. He had done his homework when planning the trip. He had a tent for us. He had sleeping pads for each of us. We had discussed it in advance, and we agreed we should have these things “just in case”, but it was Mark who both started that discussion and eventually purchased the items so that we would have them in time for the trip. 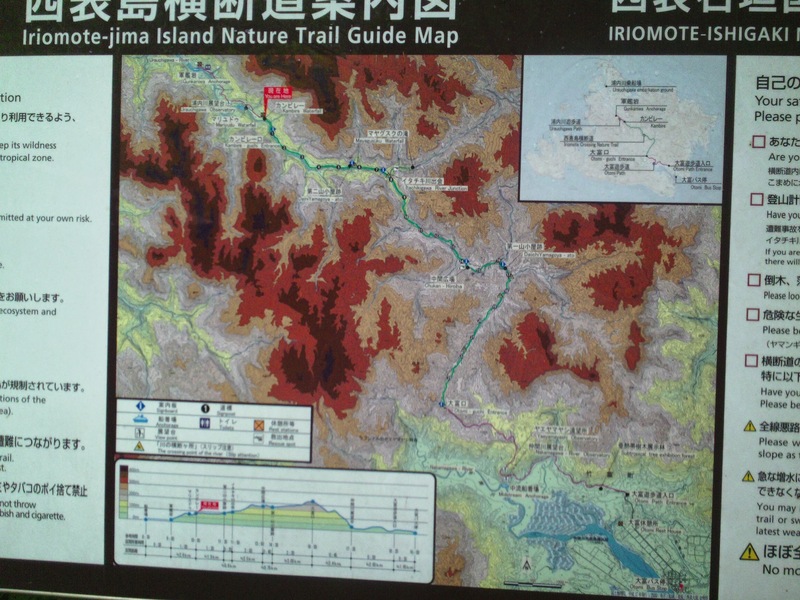 Map showing the trail across Iriomote-jima. In the end, we settled into our tent for a moderately comfortable night. I was feeling terribly defeated, and my body felt… well, broken honestly. I had reached a point where I didn’t think I could take another step long before we’d stopped. It was an experience I can only assume is like that of a marathon runner – when you simply do not believe that there is enough energy in your body to lift your leg one more time and yet you find yourself continuing to do so – over and over again. Sleep came upon me very quickly that night. Mark getting ready to board the boat which will take us to the trail head. Heading up the “Japanese Amazon”. Mark and I still fresh at the beginning of the hike. Our boat captain after dropping us off. They grow the trees big round these parts. Did I mention the pretty setting? Mark at the entrance to the trail. The trail? Of COURSE I’m following the trail. Can’t you see it right here? !